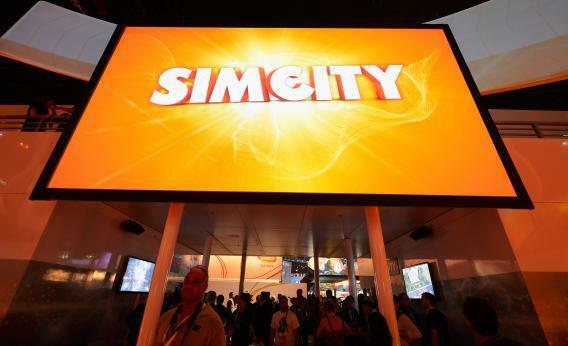 SimCity's digital rights management: It's not the fiasco people think it is. Earlier this week, I wrote about the new SimCity and what it can teach us about managing real cities. There’s one big caveat that should go without saying: In order to learn from the game, you have to be able to play it. Since its debut on Tuesday, two problems have plagued the game—one that’s short-term but impossible to miss, and one that’s more subtle but also has wider ramifications. The first thing that has SimCity players raging, especially on the game’s Facebook page, is that persistent server issues have kept them from logging in to the game—which is a big deal because it can’t be played offline, even in single-player mode. Those fortunate enough to get access to the servers logged in only to find that the heavy traffic made gameplay nearly impossible. Amazon briefly suspended all sales of the game, and EA’s idea to ease congestion was to disable some features—a move that further infuriated many fans. So why is EA requiring that everyone be connected to the Internet to play? That’s the much more explosive issue, and it has to do with EA Games using digital rights management to stay in control of the whole experience. DRM is intended to limit how software and devices are used after they’re sold, particularly to fight copyright infringement and piracy. DRM has always been controversial, seen as something that keeps those who have legally purchased something from backing it up or sharing it with a friend. In SimCity’s case, requiring an Internet connection keeps anybody from connecting to the servers using a pirated copy of the game. But as we’re seeing right now, the main effect has been to block legitimate purchasers from playing the game. (If you’re more of a visual learner, here it is in GIF form.) Angry customers have taken to Amazon, where the game has racked up a whopping 2,600 1-star ratings and 2,800 mostly negative reviews. The always-on DRM is taking the biggest hit, with one reviewer saying, “Lesson learned, EA will ruin any game you have loved for years with their oppressive grasp for cash DRM style.” More than 42,000 people have already signed a Change.org petition calling for EA to ditch this kind of DRM, and a Kickstarter campaign to create a DRM-free SimCity clone is nearing $50,000. There’s no doubt the always-on DRM is causing technical problems, and it’s easy to see how customers feel betrayed. But the outrage is overblown, and this isn’t the kind of DRM abuse that people are making out to be. An Internet connection is vital to SimCity beyond simply aiding copyright protection—it’s what takes the game so far beyond the rest of the franchise. The game itself is about cities, and the designers were smart to realize that cities rely on their connections to one another. As Kip Katsarelis, the game’s lead producer, told Game Informer last summer, even the single-player mode exists within the larger SimCity world. An active Internet connection facilitates trade for each city’s resources. When one city mines metal ore and sells it to another, the cost is determined by a simulated SimCity­-wide market. Additionally, if someone in single-player mode decides they want to open up and play with others, they can do so right away. These aren’t even gimmicks to validate the use of DRM—they’re two great features in the game. When everything is working normally, they’ll deserve praise, and it’s reasonable to expect everything will be working soon. SimCity isn’t the first game to require an Internet connection, it’s not the first game with DRM, and it’s not the first to be plagued by problems at launch. Diablo III went through similar troubles when it launched last May. It took a few weeks for the servers to meet the demand, which was a huge failure that angered fans. But once it was fixed, and things started functioning normally, the DRM issue fell by the wayside. SimCity, for its part, is working to stabilize servers and increase their capacity, Katsarelis said Thursday on an EA forum. With all the anticipation ahead of the game’s launch, they should have been ready to deal with massive amounts of traffic. For that, SimCity fans should be upset. But once everyone can actually play the game, it’s safe to say there will be plenty to like about it.